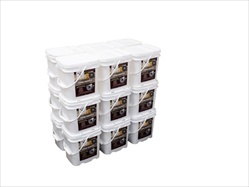 Traditional food storage items can be time-consuming and difficult to prepare. Hours of grinding wheat or soaking beans can be labor-intensive and taxing not to mention leaving you with a �meal� that�s hardly appetizing. With Wise Foods� ready-made meals, simply add hot water, wait 10-20 minutes, and you�re ready to eat.